Stevia extract, sodium bicarbonate (baking soda), tartaric acid, potato starch, calcium stearate. Stevia is a safe sweetener. Its sweet taste is due to the presence of steviosides. Stevia is 10-15 times sweeter than sugar, while it has low calorific value, its intake has no negative effects. 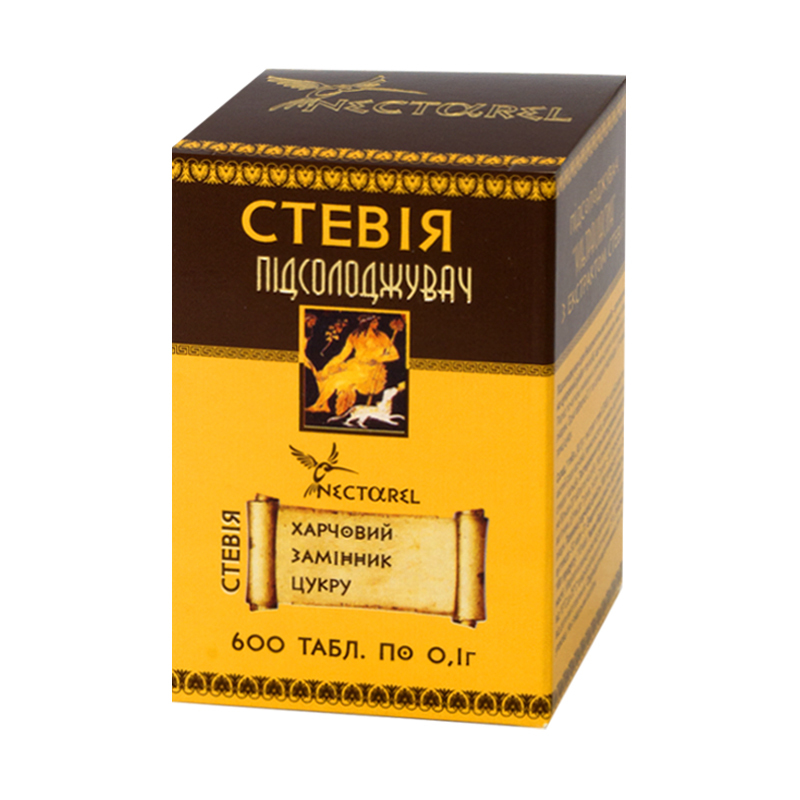 It is recommended instead of sugar in case of obesity and other metabolic disorders. As stevia has tonifying and strengthening effect it is recommended as a dietary supplement for sportsmen, as well as in case of increased mental and physical loads. One 0.1 g tablet corresponds to the sweetness of 1.5 teaspoon of sugar. Take maximum 20 tablets a day. It is not recommended for pregnant women, children under 7; children in the age over 7 use the supplement as prescribed by a doctor. Proteins – 0 g, fats – 0 g, carbohydrates – 50 g.